GTPprix had the most liked content! Not weird, normal ;) If you want the Chevrolet startup logo etc (e.g. 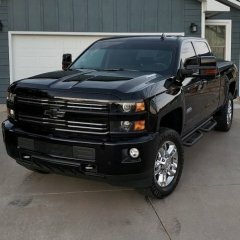 you have a Silverado) it will have the SUV icon as its all tied together. Thats a very small part of it. For example we make some other small tweaks that fix some small quirks when used in a retrofit situation etc. No. There is no tested proven solution currently but if one becomes available it will be posted here immediately. 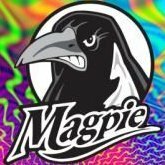 Was hoping to make an official post after there was a confirmed fix however very long story short there is a bug that seems to have been introduced into the late 2017 Firmware that carried into the branch used for the 2018-2019 units as well. Basically The clusters ignore ANY configuration for a rear park assist only even though they are configured as such; the bug even allows for the display of the park assist on/off state messages but not the actual sensor data. This would never have been an issue for GM as they never built any trucks that used these clusters in that time frame that DIDN'T have UD5 (Front and Rear Park Assist). I have spent a metric ton of time recently benching up a mockup to test this and indeed was able to see no matter what data frames were sent (or emulated) from a park assist unit the clusters would not display anything for rear park assist. Jchoi is testing a third revision of a work around that hopefully should work as we were able to display park assist information on his unit on the bench, I was even able to replicate this situation in my own 2018 Denali. 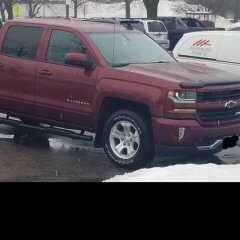 Hopefully will have something to report here very soon, it should be noted since the discovery of this we have stopped taking any orders for 2018 trucks that have rear park assist only but again hope to reverse that the second we have good feedback. 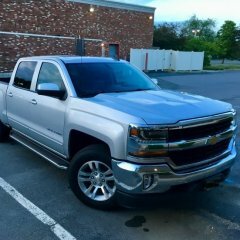 Denali Cluster retrofit Technical Resource Thread and FAQ - Part Numbers, Procedure etc. UPDATE: We are proud to announce Odometer Lock removal services for nearly all Global A Instrument Clusters. What this means is if you didn't heed the numerous warnings, instructions, posts etc about not putting a un programmed cluster in your vehicle we are now able to recover these units to make use of them. THIS SERVICE DOES NOT REMOVE THE TAMPER/MISMATCH CODES/FLAGS FROM OTHER MODULES RESULTING FROM THE LOCK; it simply saves you from having to buy another instrument cluster. This will be an add on or separate ala carte' service to our current offerings which is currently TBD. So just wanted to update everyone on progress and some other pretty exciting developments: 1. We are currently closed for consumer communications and orders until the end of next week. Hopefully we will be reopening prior however long story short more than half our current booked workload got delivered in the span of about two days. In order to make sure everyones stuff gets out in the originally quoted time frame this is necessary; my apologies. If you have a current order in process (its been delivered etc) or a rework in process rest assured it will go out as soon as humanly possible. We do not taking closing lightly but we also try to stay under our quoted lead time, taking more would lead to delays that in our views would be unacceptable and we'd like to hope that if your parts were here you'd appreciate this Again I hope to be able to give the all clear to take more consumer orders before next Friday; cross your fingers! 2. This is a big one.... one that has been a long time in the making. We are proud to announce Odometer Lock removal services for nearly all Global A Instrument Clusters. What this means is if you didn't heed the numerous warnings, instructions, posts etc about not putting a un programmed cluster in your vehicle we are now able to recover these units to make use of them. THIS SERVICE DOES NOT REMOVE THE TAMPER/MISMATCH CODES/FLAGS FROM OTHER MODULES RESULTING FROM THE LOCK; it simply saves you from having to buy another instrument cluster. This will be an add on or separate ala carte' service to our current offerings which is currently TBD. Thank you all for the support!! You’re most welcome! Phil will get you all fixed up I assure you; he’s awesome! Contact us from our website and we will send you the fitment matrix and all details. The HVAC is nothing compared to this You're talking "why not just buy a kia" kind of money LOL Stuff that we would do for say a 100+ vehicle fleet customer etc.